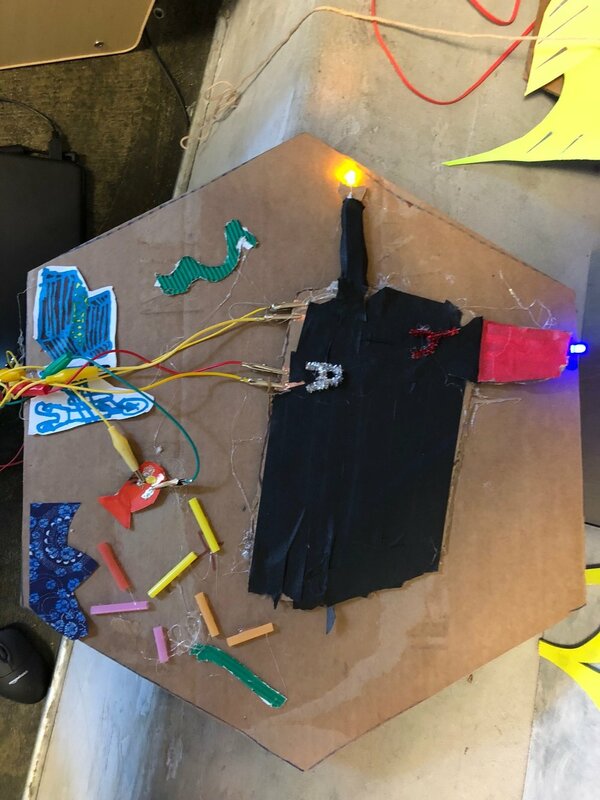 Undersea Chibitronics - Crafting with Code 4.3 — Wonderful Idea Co.
At the midpoint of this week of crafting with code summer camp, we started putting together all of the elements that we've been experimenting with to make a collaborative undersea circuit installation. We started the day by taking a close look at a four legged RGB led and trying to keep track of the way it worked. Campers worked in pairs to draw the parts of the component and try to figure out how many colors they could create. After our snack break we introduced the idea of building a collaborative installation with an underwater theme. We used a couple of the examples from the PD workshop this past weekend to give them the idea of the prompt. It was really cool to see ideas start to take shape. 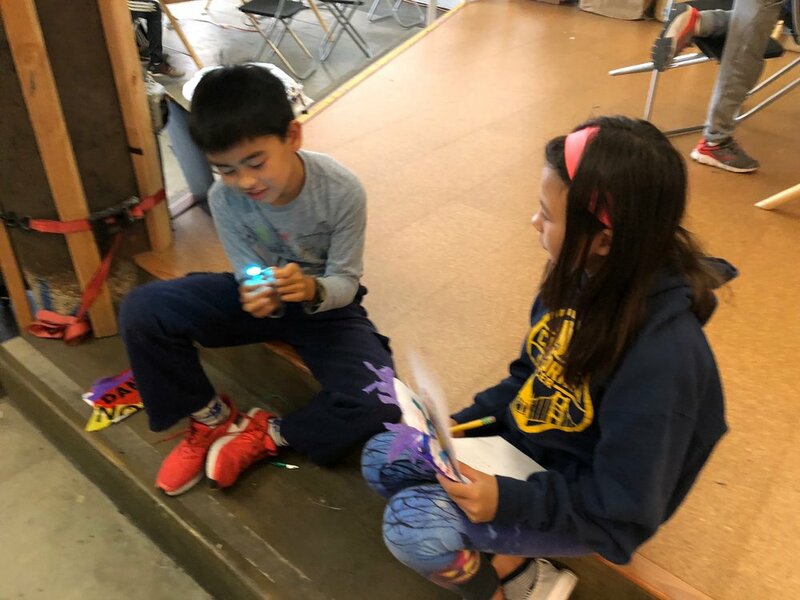 Some of the different projects that groups investigated included a glowing jellyfish, a sunken treasure chest, the titanic, a submarine sanwich, a deep sea explorer a deep sea diving helmet and a battleship. Lots of experiments centered around using the RGB lights that we explored in the morning and others worked on coding patterns with the normal LEDs. 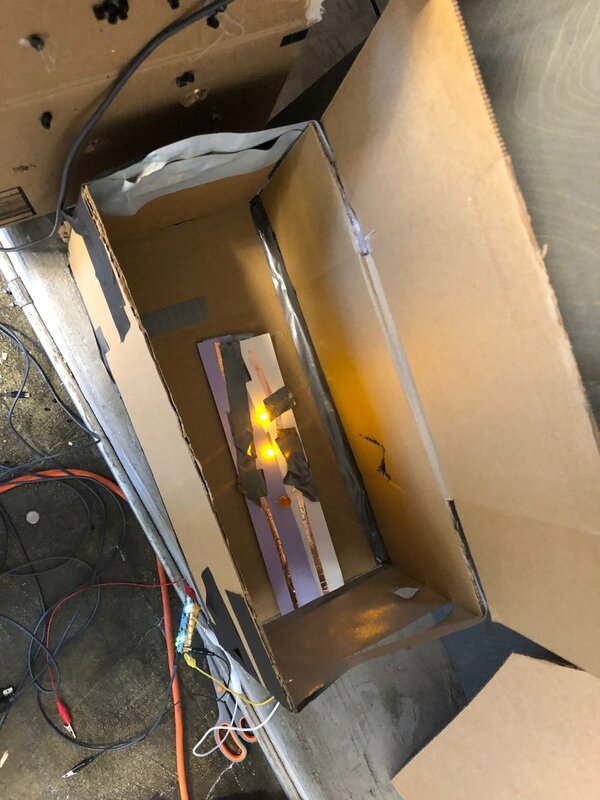 There were some interesting physical constructions as well with campers building 3D displays, using beads for barnacles and doing some last minute soldering adjustments to cardboard elements. We eneded the exploration with campers sharing their elements of the finished creations with the rest of the group! We asked them to reflect on the things that they were most proud of and the challenges they encountered with the code and construction. These moments to step back and consider the process will be invaluable as we move into a final project over the last two days.